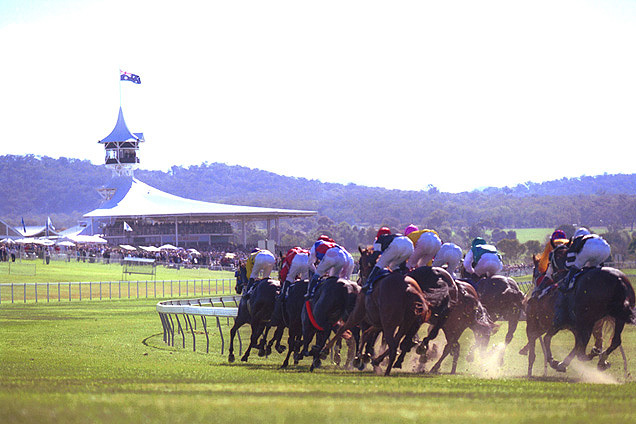 Racing and Sports highlight our standout plays for Australian TAB meetings on February 7. Five TAB meetings are held across Australia on this Thursday at Grafton, Benalla, Pakenham, Rockhampton, Geraldton. CELEBRITY REIGN hasn’t had the best of it heavily-backed since the big win this grade. Finds easier today and looks the one to beat with the claimer using the handy gate. BELLA RICOMPENSA peaks and is busting to win. Will race forward with Meech up and will go close. EYES ARE BAY won three back and has been knocking on the door since. Uses the low gate and gets Nolen first time. MULK 3U may be next best. SELECTIONS: #2 Celebrity Reign finds the right race. Totten can kick up from the inside. ROCKNAVAR gets her chance. Closing sectionals at Ballina last start were very encouraging. Steps to a distance that should suit. Holds all the upside and should prove hard to beat with the Fradd/Dunn polish. GRATUITOUS is busting to win a race. Refused to throw in the towel last start. Drawn better and should give a sight. Those two clear out from TOTTEN who should give some cheek on the speed. SELECTIONS: Rocknavar for the win. SAY PLEASE pushed forward last start and may do the same here given a lack of early pace. Got the winkers again and responded to just miss 13 days ago and can win with a repeat of that. ANNMARIE just missed here on the slow track two back but just battled away after. Can’t be totally ruled out using the rail to advantage. GOING TO VEGAS is 3U and should be ready to to show here best. Has come up early favourite. KAOS AGENT debuts and may be good enough to have the rest covered. SELECTIONS:With #11 Say Please at the each way quote. BIG SHOT PADDY is overdue for a win and looks the one to beat. Has placed at last three runs and kept fresh for this. Will go close from the inside gate. MISS MOROAK is racing well including a last start win by a space. Drawn wide but will take catching again. HOT STAR is also a last start winner when scoring over 1200m in this class. Has a nice draw and among the chances again. BULL BIZARRE may be worth another chance. DYNAMITE JACK next best. SELECTIONS: Big Shot Paddy looks the one. CRISTAL EYES is resuming and looks very well placed this class. Hasn't raced since the 1000 Guineas Prelude and spent all campaign in tougher grade than this. Well placed here fresh a d expected to go close. TREBLA was also a fresh up winner here over the same journey. Has upside and among the chances again. FARSTAR rates well on best form and can improve sharply on fresh up run. CORONEL is worth another chance and is among the leading hopes on form prior to fair run in tougher grade latest. SKELTON can run a big race fresh. SELECTIONS: Cristal Eyes resuming in far easier grade.